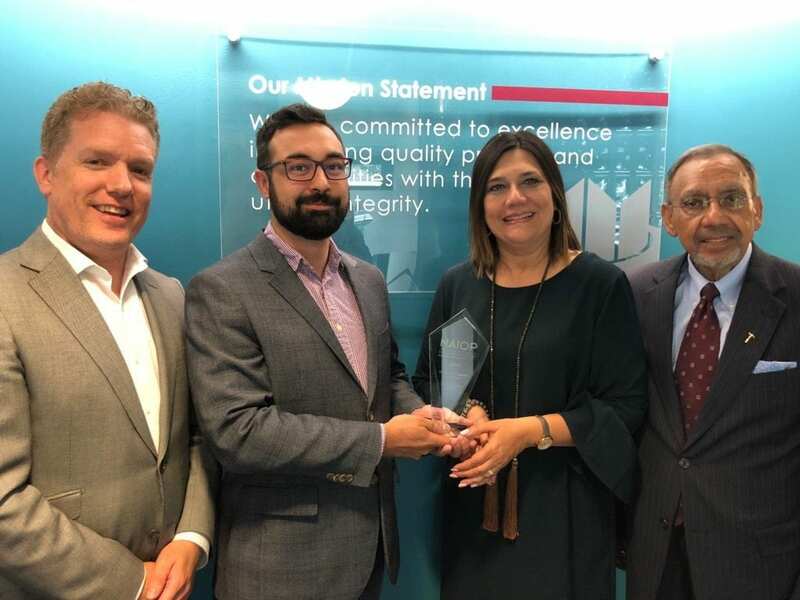 EDMONTON, AB (June 1, 2018) – Cameron Development Corporation recently received a plaque for sponsoring NAIOP Edmonton’s Developing Leaders program. The Developing Leaders program supports, mentors, and empowers those 35 and younger as they emerge as leaders in the commercial real estate industry. “We are proud to support NAIOP Edmonton’s Developing Leaders program. The program’s goals of mentoring and developing the emerging group of leaders in our industry is a great alignment with our core values of striving for excellence and building communities, not simply developments,” said Alex Thomson, Vice-President of Investments for Cameron Development Corporation. In addition to sponsorship, Tina Naqvi-Rota, President of Cameron Development Corporation, has generously volunteered her time over the past two years to mentor emerging leaders through the Developing Leaders program. “A big part of the philosophy for our organization has been to help others, providing mentorship and support. I am always amazed and inspired by what I see in the next generation of leaders,” said President Tina Naqvi-Rota. Founded in 1979, Cameron Development Corporation is a privately-held real estate development organization based in Edmonton, Alberta, Canada. With more than 20 commercial developments including South Edmonton Common and Currents of Windermere, Cameron Development Corporation is one of the most active and diversified commercial developers in the region. Cameron Development Corporation is committed to excellence in creating quality projects and communities with the utmost integrity.